**Check-in Baggage up to 20 kg. /person. Baggage in excess will be charged by the airline. All rates are per person on Full Board basis. For clients who would like to book speed boat transfer reduce THB 6,000 per person from the above rate. 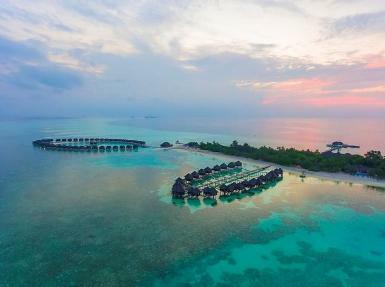 สำหรับลูกค้าที่ต้องการเดินทางเข้าเกาะด้วย Speedboat แทนSeaplane รับส่วนลด ดังนี้ ผู้ใหญ่ 6,000บาท/ท่าน เด็ก 3,000บาท/ท่าน *Only one mode of transfer per booking. The resort doesn’t accept one‐way speed or one‐way sea plane transfer. Speed boat transfers are available for flights arriving before 10:00hrs for Morning transfers and before 16:00hrs for the afternoon transfers. **Breakfast, Lunch and Dinner at Haruge, Malaafaiy, or Farivalhu restaurant. 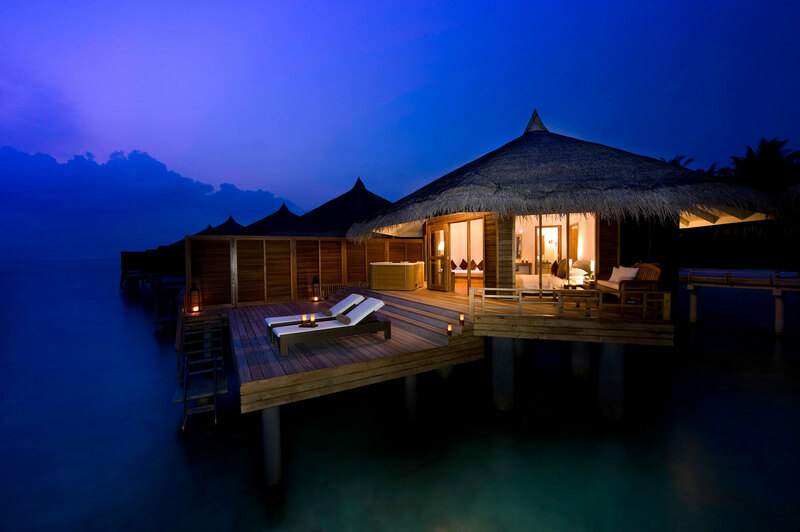 A restaurant is allocated to the guests depending on villa category booked. 20% discount from selected a la carte restaurants during dinner service when reservations are made 24hrs in advance. 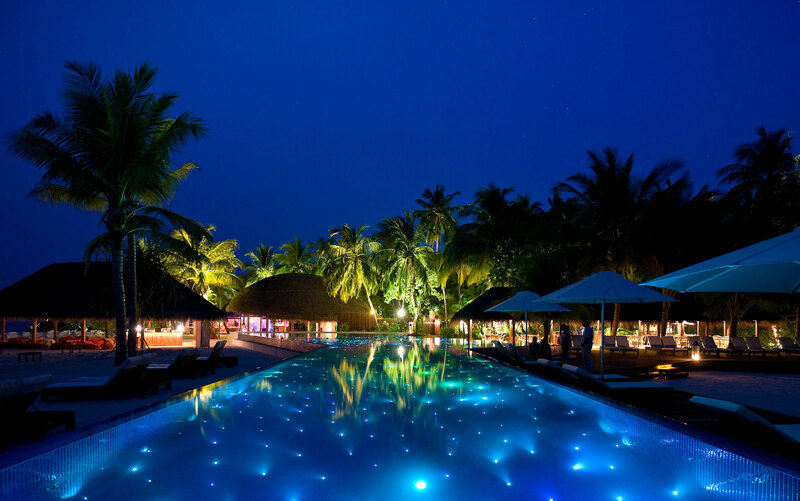 **Breakfast, lunch and dinner at Haruge, Malaafaiy, or Farivalhu restaurant. 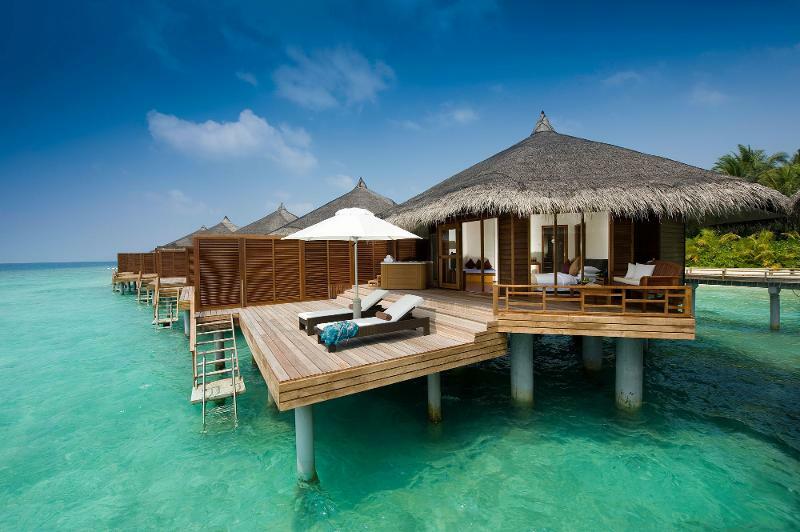 A restaurant will be allocated to the guests depending on the villa category booked. 20% discount from the selected A la carte restaurants during dinner service when reservations are made 24hrs in advance. All soft drinks, canned juices, imported liquors (except premium brands), over 50 alcoholic and non‐alcoholic cocktails, 3 different house wines, bottled house mineral water and draft beer in all restaurants and bars (menu featured). Soft drinks and mineral water from in the room minibar. High Tea 1500 to 1700hrs daily at the island coffee shop, Dhoni Bar or Farivalhu Restaurant. An assortment of snacks and local delicacies with tea and coffee are available. Snorkeling equipment windsurf (Excluding safety check and tuition fees). 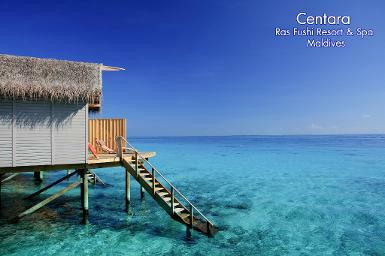 1 visit to Rasdhoo, neighboring local island and 1 sunset cruise per person per stay. THB 3,600 per pax per night and children 50% discount. **A main restaurant is allocated based on villa category, though guests are welcome to use any of the restaurants for any of their meals. Prior reservations will be required when dining in any restaurant other than the allocated main restaurant. A selection of bottled wines for different wine producing countries (available at restaurants with meals only). Premium dishes such as lobsters, private dining and wining experiences are NOT included. Offer details: receive complimentary meal plan upgrade from FB to Basis All inclusive or from Basic All Inclusive to Select All inclusive. 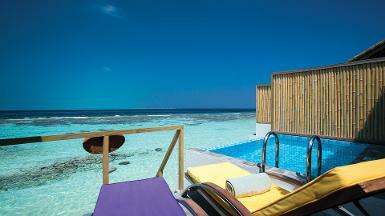 Other terms: Valid for Water villa with Jacuzzi and higher and minimum 4 nights required. 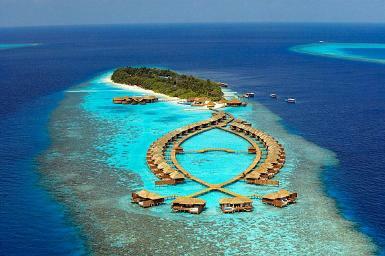 Offer details: Stay 4 ‐ Pay 3 on Full Board for all room categories except beach Villa. Stay period: throughout the year. Flower decoration on bed, chocolate or macaron, bottle of wine. The resort request proof of marriage at time of check in. Minimum 4 nights is required.